'Lifeline' does contain two of those signature lengthy prog pieces in 'Lifeline' and 'So Many Roads' for which Morse is known. Yet, the other five songs, still having some prog nuances, drift closer to melodic rock than prog. This most noticeable on 'The Way Home' which is straight melodic rock with no prog frills. Yet, then there is 'Leviathan' which tag teams near metal fret work with some funky horns. The lifeblood of 'Lifeline' is still found in Morse's epic and profound prog piece, 'So Many Roads.' Lyrically and musically, the song is autobiographical displaying his journey to faith in Jesus Christ, the one road. Compositionally, Morse easily melds old school with modern prog while adding a dash of metal to spice things up. There is something for everyone in this song; my favorite part came about 18 minutes in with the impressive bass solo. Most of what I've been speaking to here pertains to the basic single CD. I would strongly encourage that you get the double CD with the bonus disc because there is some very cool stuff here. 'Crazy Horses' is a wild rock and roll ride with enormous rhythm section and ripping metal riffs. 'Lemons Never Forget,' a humorous song, is great guitar driven prog rock. (Listen for the weird Bee Gees ending.) The Box Tops hit 'The Letter' never sounded better in the skilled hands of Mr. Morse (fabulous horns). Finally, Morse covers Elvis Costello's 'What's So Funny About Peace, Love And Understanding' with enough enthusiasm to invoke the same punk passion of the original. 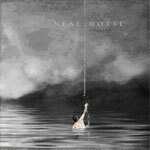 Neal Morse's 'Lifeline' is simply phenomenal. Morse continues to inspire with his creativity and skillfulness. Heaven is smiling down on us once again. Highly recommended! Neal Morse's 'Lifeline' is simply phenomenal. Morse continues to inspire with his creativity and skillfulness. Heaven is smiling down on us once again.